Welcome to Prairie Story Recipe Swap Thursday! It's cold, and snowy, and I'm starting to get cabin fever. My favorite recipe from last week's Recipe Swap Thursday was Grilled Pizza @ From My Tiny Kitchen. I love pizza, and to grill it gives it some extra flavor! Be sure to check out this recipe. 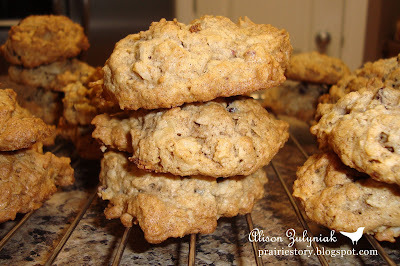 This week I've gone back into the archives and am sharing my very first Prairie Story recipe - my Oatmeal Craisin Breakfast Cookies. My son and I just baked these up the other day again! Yum, I love breakfast cookies! Yours look and sound delicious, and I like that the oatmeal, raisins and cranberry make them good for you too! I would LOVE one of these for breakfast! Thanks for mentioning my grilled pizza, I would love to hear feedback if you try the recipe! I love craisins. I love oatmeal. I just don't ususally love oatmeal raisin cookies so this recipe would be great for me. I keep meaning to bake something up with craisins but I haven't yet. This would be great. Those breakfast cookies look delicious and I love the addition of craisins. 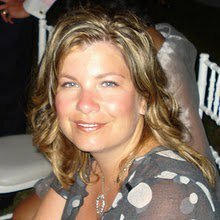 Happy Thursday Alison! As always, thanks for hosting. Thanks for hosting! 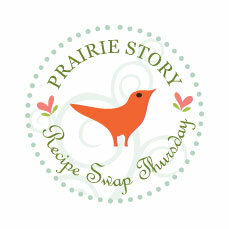 I used two recipes off last week's recipe swap; looking forward to browsing through this week's! Your breakfast cookies look wonderful, I'll have to give that recipe a try too. Thanks for hosting!